The Future of Data Storage Is... Cassette Tape? While the future of storage on your laptop is undoubtedly solid state, it's more difficult to predict how the huge tranches of data in server farms will be housed in the future. 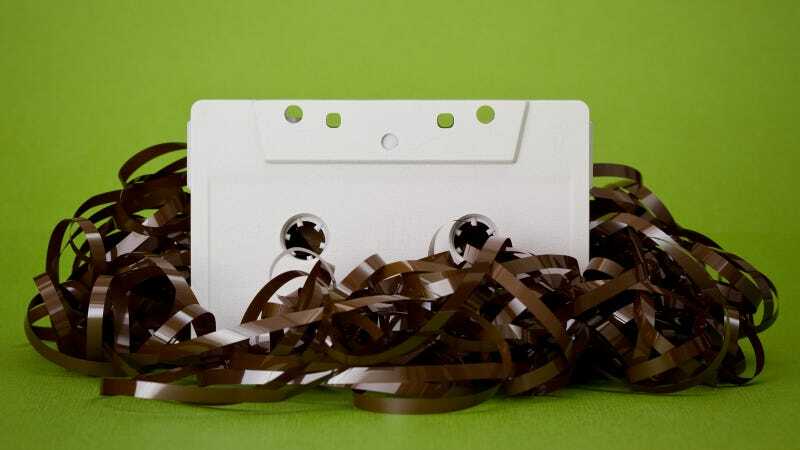 Recent suggestions, though, predict the rebirth of an old technology: the humble casette tape. New Scientists reports that "a new wave of ultra-dense tape drives" looks set to replace hard disks as the go-to storage medium in server farms—to store everything from Facebook profiles to HD streaming movies. The new tapes have been developed by Fuji Film in Japan and IBM in Zurich. The first prototype measures four inches square and less than an inch thick, and is capable of storing an incredible 35 terabytes of data. That data density is achieved using magnetic tape coated in particles of barium ferrite—and its beats hard drives hands down. Of course, the real motivation behind the research wasn't to produce a home for your status updates. Rather, the data storage solution was designed with the forthcoming Square Kilometre Array telescope in mind. Once up and running in 2024, estimates suggest that it will produce 1 million gigabytes of data a day. That's a lot of these new cassette tapes, let alone hard disks.